Victor Stenger has set out to write a book that deals with two basic issues. The first issue is a history of the development of the idea of the atom. Dr. Stenger successfully accomplishes this task. The second goal is philosophical. 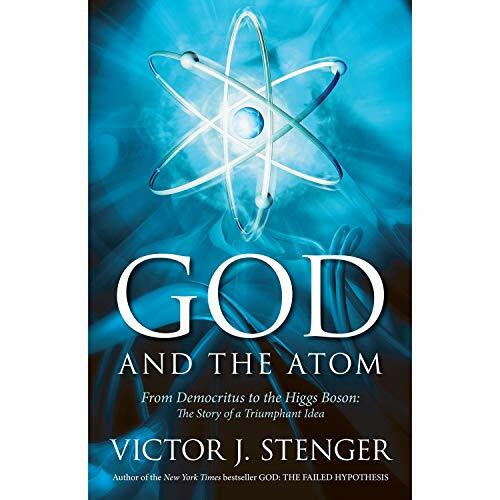 As he states: “This book will make the case that atoms and the void indeed are all there is.” Here Dr. Stenger is much less successful. The history of thinking about atoms begins with the ancient Greek philosophers. Dr. Stenger looks at the philosophies of Democritus, Plato, Aristotle, and other thinkers of that time. His main takeaway seems also to be his thesis. He argues that Democritus was an early supporter of the “only atoms and the void” idea. Dr. Stenger also claims (without offering any substantial support for the idea) that these early philosophers indicated support for the deities of their time primarily to avoid being put to death for heresy. Dr. Stenger does give a good summary of the debates between “atomists” such as Democritus and the “anti-atomists” including Aristotle, the Stoics, and others. He then jumps to the 1500s and beyond, looking at the thinking of Galileo, Newton, and others. He discounts any contribution made by religious scientists of the time, arguing that scientific progress came outside of Church controlled universities and states that Christianity had nothing at all to do with the rise of science, a statement that has been strongly criticized and refuted by many modern-day scholars. The development of the idea of the atom is traced at length in succeeding chapters. Dr. Stenger displays his physics background as he explores the thinking in both chemistry and physics that led to our current understanding of the atom. He navigates the tricky and complicated world of quantum theory, giving clear explanations for some high-level concepts. Dr. Stenger’s explanation of wave-particle duality shows the confusing and somewhat contradictory issues that surround this still-puzzling phenomenon. His prejudice toward religious thinkers comes through in many places. While discussing environmental issues, Dr. Stenger makes the bold statement: “. . . The majority of evangelical Christians, including prominent Republican politicians, believe that God will assure that Earth remains in perfect environmental balance —at least until Jesus returns.” The source for this statement? Not some Christian publication, but his previous book God and the Folly of Faith. He offers nothing reliable to back up this groundless assertion of opinion as fact. Dr. Stenger concludes his book with the statement that reality consists only of atoms and the void and that nothing beyond this exists. In doing so, he ignores a voluminous literature dealing with the debates about mind and matter that are currently taking place. As a history of the development of ideas about the atom, God and the Atom contains helpful information. But as a reasoned discussion about philosophy, this book—long on dogmatic statements and short on understanding of religious history and current thinking about mind and matter—doesn’t reach anywhere near the potential of its premise or its title. Dr. Stenger’s history of the atom is good. His philosophical arguments and conclusions are inadequate.